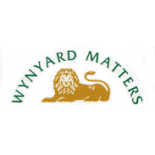 The new Wynyard Matters magazine will be with you in the next week. It contains a questionnaire about a proposed community centre that could be built on the Wynyard south site. There is also an online version reached through HERE, but please, don’t complete a paper copy if you fill in the form on-line. Drop off points for the paper forms are on the voting paper. This entry was posted on September 7, 2017 by wrasecretary in Announcements, Updates.